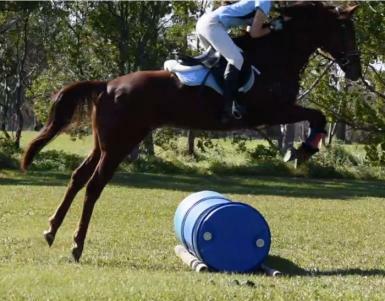 $6500 NEGOTIABLE Sundance is a 9 year old liver chestnut throughbred mare who stands at approximately 16.2hh with an absolute heart of gold. 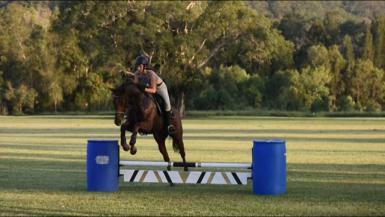 She is always one of the best behaved horses at pony club and out on roads. 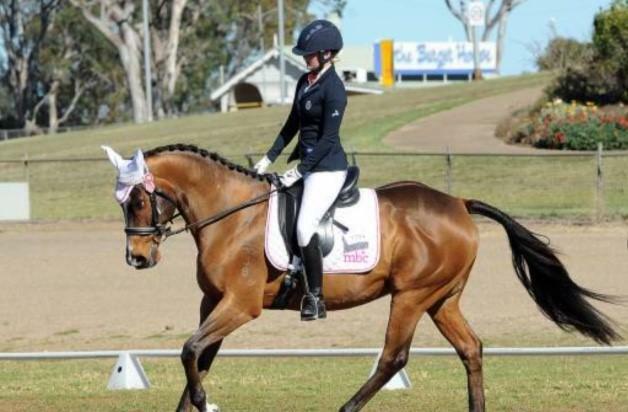 Since we do not have a float, I ride her to pony club and around Tallebudgera and have never had problems, even when a massive truck came speeding past with a tarp on the back. 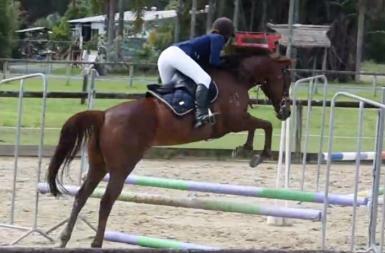 She is an allrounder and always wipes out the ribbons at pony club gymhanas. The first gymhana she ever went to, we came home with ribbons for every event, a big smile and an overall 3rd place trophy for my age group. 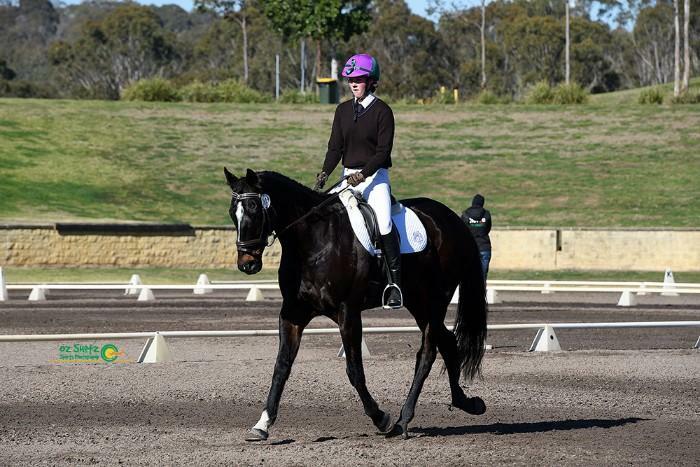 She is very honest and willing to do absolutely anything for the right rider. 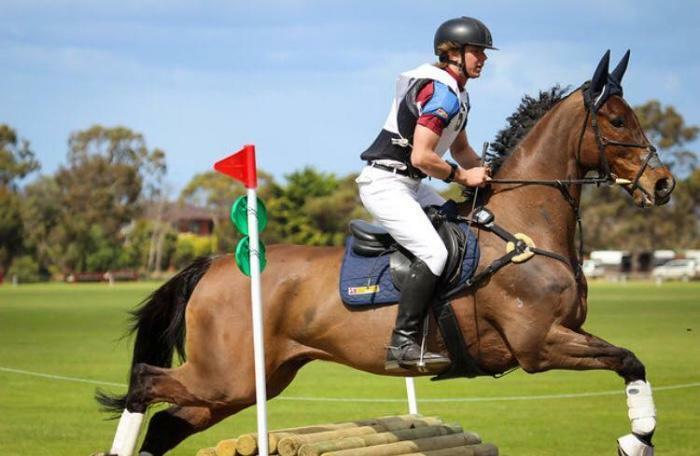 She needs someone who is confident and willing to guide her, she always turns heads at pony club due to her kind nature, willingness to do anything and her fantastic looks. She can be left out of work for 3 months and not make a fuss when you bring her back into work, at one stage she was out of work for three months while I saved up for a new saddle and our firt ride back I went to a show and had no problems. 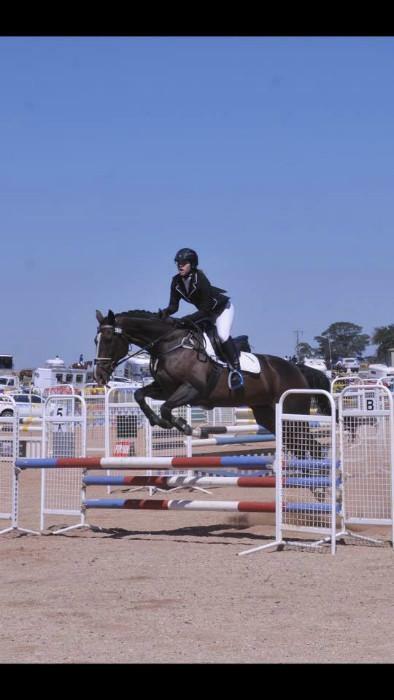 Very talented in the showjumping department and clears 90cm by a mile just from trot... many people have seen her do it and are aways left with absolute disbelief on their faces. She is very fine built for a thouroughbred and has very expressive paces of which people are surprised of with her being a thoroughbred. She does not get 'hot headed' in new environments and loves going to new places. 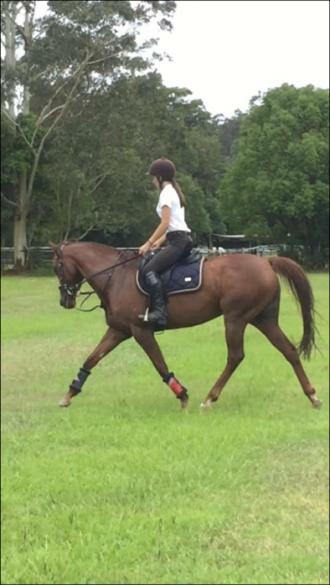 She is also very good around other horses, she doesn't kick, bite, bully etc. and has been in a paddock with two minis. 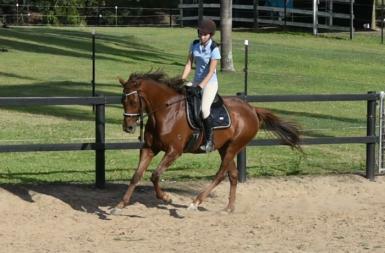 She has a fantastic temprement and no nasties, would never even think of bucking, rearing, biting etc. as that's just not her. Doesn't get nasty at feed times, she can eat from the bucket sitting in your lap and you can pick it up and move it etc. without her getting territorial. She is up to date with teeth, hendra vaccinations and farrier. 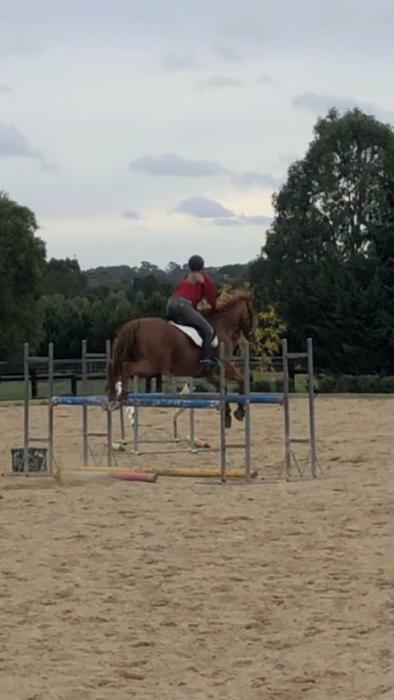 She can be a bit nervous when loading into a float and prefers the centre divider to be taked out of a straight float, but once shes on you have absolutely no problems and she will travel like a dream. 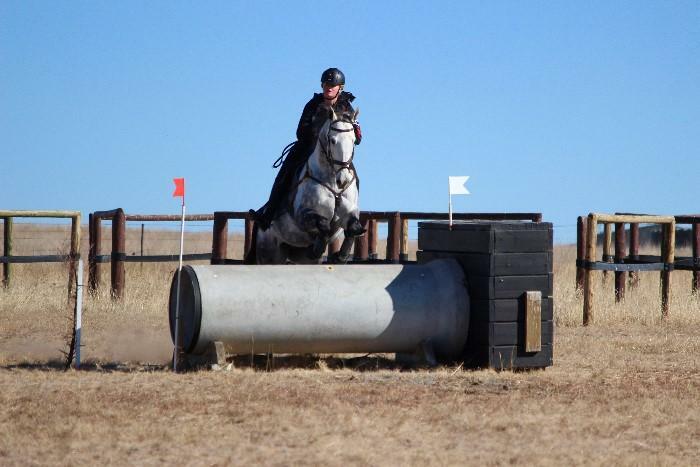 Very sad sale, the only reason why I am selling her is so that I can get something smaller as I am going to stop competing and soley just pleasure ride, however, Sundance deserves a better home than that and has too much potential with competing to just go to waste.